Aligning IT and business perspectives requires the ability to create links between configuration information in the CMDB and the business service as experienced by the user. 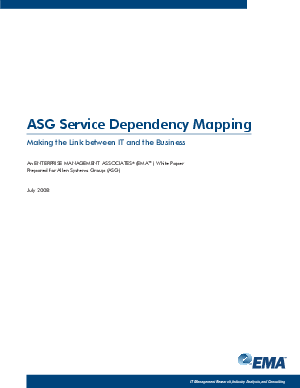 Service Dependency Mapping (SDM) products automate the process of creating and maintaining these links. This white paper examines how IT organizations can transition to a more service-focused approach to managing business applications, and how these leading-edge management solutions support this transition.